Deemed a beauty pageant champion, Miss Hong Hong 1987 Pauline Yeung captured the title of Asian Queen at Miss World and was also ranked top 5 in Miss Universe. 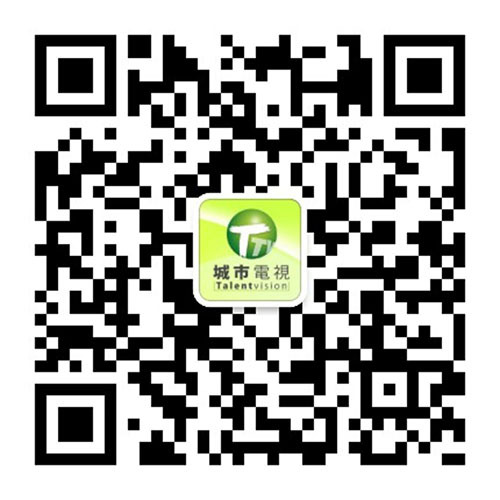 After her pageant days, she signed a contract with TVB to launch an acting career. Through this opportunity she was able to participate in several dramas, movies and also accumulate hosting experience. After leaving the entertainment industry in 1999, Pauline entered the business sector by coincidence and co-founded a famous Hong Kong jewellery brand. Subsequently, her known title evolved from “Asian Queen” to “Jewel Queen” and her business career only continued to blossom. Recently “What’s On” caught up with Pauline to learn more about her recent endeavours and tips on picking jewellery. As flawless and beautiful as she is at 50 years old, Pauline also shared her secrets on staying youthful and views on returning to the entertainment industry. A popular Hong Kong comedian of Indian descent, Vivek Mahbubanin can proficiently perform stand up comedy in fluent English and Cantonese. Growing up in Hong Kong, he is very familiar with the culture and living environments and can easily incorporate its key characteristics into his jokes, making it extremely relatable to his audience. Recently, Vivek was invited by UBC to Vancouver for an event. “Leisure Talk” grasped the opportunity to chat with him. Widely known for his stage presence as a comedian, Vivek was actually a drummer and a web designer before. After the switch in his career path, his popularity increased as he appeared on a lot of TV shows and boxing matches as a host. Other than sharing his past experiences and recent updates, Vivek expressed that he also dreamed of touring worldwide to spread the culture of Cantonese stand up comedy. One year after her last visit, Joyce Cheng was back to Vancouver for a charity event. In spite of her extremely tight schedule, we were able to catch up with her in “Leisure Talk”, “City Chat”, and “What’s On”. Joyce was thrilled to be back in her hometown to perform after kick-starting her career in the music industry 10 years ago. It was especially heart-warming to see her family and friends to be present and show their support. She felt that growing up as a second generation star was not as easy as everyone thinks. Through a lot of ups and downs, she was determined to use her own ability to win back everyone’s affirmation. In the midst of her hectic life, Joyce actually enjoys going on trips alone as a way to relax and find her true self. As it has been a while since her last album release, she is striving for more high quality music to give back to her fans’ unconditional support. Peter Chan Ho Tak, also known as “Classics Golden Boy”, released his first Cantonese song 《Sad Autumn》 in 1973, which was an instant hit. Through the increased popularity of classic numbers, Peter’s songs are crossing eras and making a stronger comeback. To celebrate his 45th anniversary in the music industry, he held a total of 3 concerts when he performed all his famous hits. Other than Cantonese, Peter also sang in English and Mandarin, and included different styles like Cantonese opera, Beijing Opera and Chinese Folk music in the rundown. 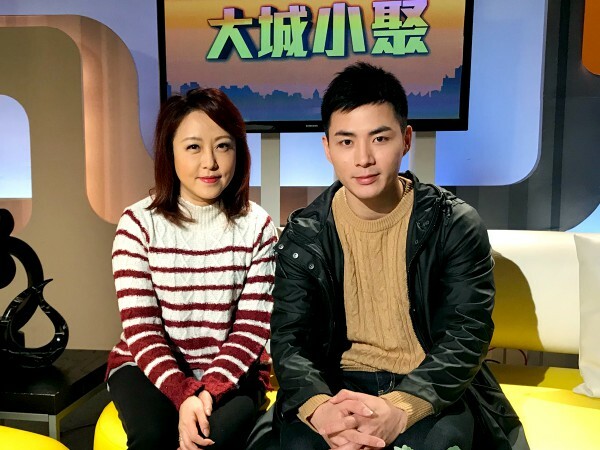 With his recent return to Vancouver, we were lucky enough to invite him onto 《Leisure Talk》again to tell us about stories behind his concerts. He shared with us that he actually preferred smaller scale concerts over bigger ones because of the more intimate vibe between him and the audience. Peter also advised new singers to practice at all times in order to expand their vocal range. Other than singing, Peter revealed that he is passionate in playing golf with his wife. While in Vancouver which offers a lot of beautiful golf courses, he will definitely take advantage! From a very young age, Wendy Cheung showed great aptitude for song writing. After entering Fairchild Radio’s 1st Chinese Song-Writers Quest and winning 2nd place, she decided it was time to pursue a career in the song-writing industry. However, due to financial setbacks, Wendy had to reluctantly give up on her dream. Thankfully, she soon met her mentor who helped her continue to shine in this music creating business. It definitely paid off with countless hit songs that followed including Not Fantasy Drifting and Cherish Every Minute, which captured “Best Original Music Award” at the Metro Radio Mandarin Hit music Awards Ceremony. 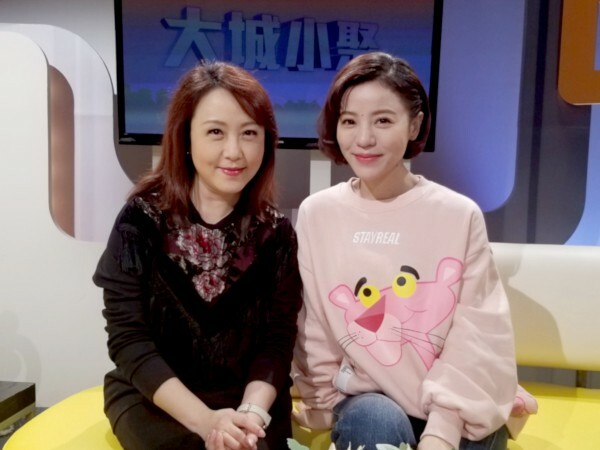 Recently on《Leisure Talk》Wendy revealed how to be a successful business lady, releasing books and short films, while also balancing family life as well. Magic shows have certainly raised its popularity for the past few years and definitely become more prominent since a young Asian magician recently won the championship at an American talent show. To keep up with the trend, Leisure Talk invited the star magician, John Fung, to share his enchanting journey. From a young age, John was already able to perform coin magic tricks with ease. He went to Australia and Japan to learn the basics of performing magic, hoping to make this talent mainstream. As an international award-winning magician, John participated at various shows in Hong Kong like 《Street Sorcerers 2 》and 《The Magic Ring》. Although on stage performances direct everyone’s immediate attention, he also enjoys performing street magic which is more challenging and requires more accuracy. John even demonstrated a card change and mind trick during our interviewing segment! It was jaw-dropping to see his magic happen right in front of our eyes! Papa, Can You Hear Me Sing (Da Cuo Che), a very well-known Taiwanese musical movie that was much favored in Asia during the 80’s produced some of the greatest hits of all time. 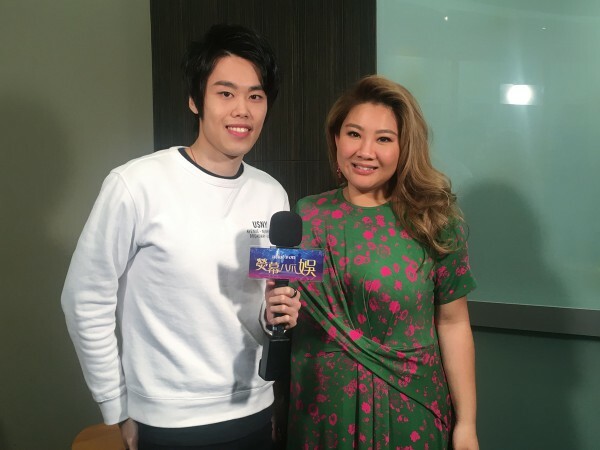 In this February, prominent singer Della Wu and veteran musical theatre actor Berson Wang, along with gifted singer-songwriter Nylon Chen and charismatic TV drama actor Edy Hsiao brought the musical adaptation of the movie over to Canada. Shortly after their tour in Toronto, they flew to Vancouver and guested on City Chat to share the important messages they would like to bring out through the interactions and conflicts between characters in the play and encourage everyone to cherish the present moment. Della specially cut her hair short to play her role, Ah Mei, and has found resemblance between the character and herself, especially on the struggles they both faced throughout their music journey. However, Della expressed on Leisure Talk that she was brave and strong enough to overcome all obstacles while pursing her music dream, thanks to her father’s education and luckily she has become one of the most prominent Chinese singers. Della also revealed performing a musical play was a big challenge and new experience for her but she had definitely learnt a lot. In mid-September, the casts will return to Kaohsiung to bring forth an upgraded version to Taiwanese audience. Make sure to stay tuned! Current US resident Miss Festival of Hong Kong Mona Louie has frequented Vancouver for different events during the past years. 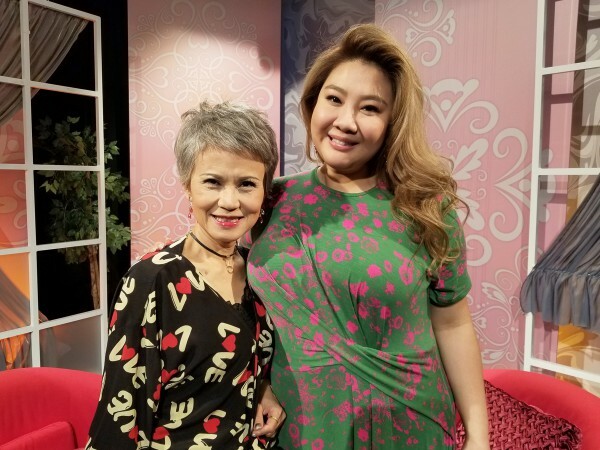 Her legendary past fascinated Leisure Talk host William Ho who recently sat down with her for an interview. After capturing the title of Miss Festival of Hong Kong, she participate in several variety shows, endorsed for cosmetics and tobacco brands, and represented Hong Kong to attend gala dinners held in foreign countries. Mona later decided to further her studies aboard to widen her horizon. Unfortunately, she was diagnosed with a rare disease and her case was considered extremely special by Stanford University Medical Center where she receives treatment. Although there is no cure for her illness yet, Mona never gives up on her precious life and is actively involved in charity works to help those in need. Mona’s kindness and courage definitely earn her respect and admiration from everyone. Raised in Hong Kong, action star Stephen Chang has participated in countless movies. Among all characters, the Viet Cong commander in First Blood and the tender father in Double Happiness both left a lasting impression on the audience. Stephen recently sat down with William Ho and recalled the most vivid memories from his acting career. He also re-enacted some of his iconic movie scenes during the interview, showcasing his outstanding acting skills. Competed in New Talent Singing Awards 17 years ago, musician Ewan Mac now chooses to work behind the camera as a film producer and has selected Vancouver as the filming location for his latest film The Hit. Ewan along with director of photography, Wai Sun Cheng, and main character, Colin Cheng, recently guested on Leisure Talk to share their interesting filming experience and revealed the secret to capturing the exciting action scene in a dark industrial setting. Colin, who used to be a martial arts athlete, was thrilled to work with experienced actor Andy On. For more behind-the-scenes account of their shooting, make sure to stay tuned for their interview on Leisure Talk.